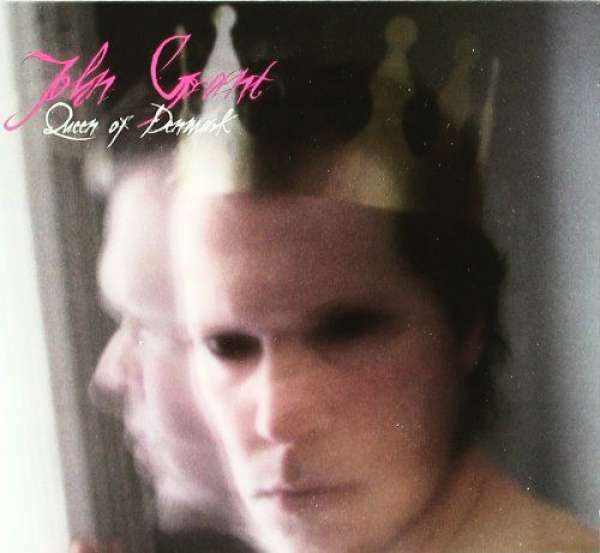 Der Artikel John Grant: Queen Of Denmark wurde in den Warenkorb gelegt. Queen Of Denmark moves through simple piano settings (the lovestruck ballad ‘Caramel’ and the intriguing Scott Joplin-meets-Beatles ragtime of ‘Silver Platter’), via an infusion of period-perfect synths (the rockier ‘Sigourney’, a sultry ‘It’s Easier’) that epitomise the lonely mood. There’s flute from Midlake frontman Tim Smith on the dreamiest cut (and there is stiff competition) ‘I Wanna Go To Marz’, and velvet strings (‘Dreams’, which imagines Scott Walker influenced by Patsy Cline, and the darker drama ‘Leopard’). There are allusions to higher beings (‘Outer Space’) and to human weaknesses (‘JC’). There is pure longing regret in the opening ‘TC And Honeybear’ and bitterly sarcastic, amped-up anger in the magnificent title track finale. Pain, hope, fear, regret, anger, self-flagellation and self-discovery - Queen of Denmark has it all.